Martijn’s career started in customer experience marketing at Disney, Marriott and Singapore Airlines. For many years he served as preferred EU production event partner for Kenwood Experiences, (acquired by George P. Johnson), for clients such as Bridgelux, Intel, Wind River and Seasun Games. He developed a number of tools, such as Event StoryBoard in 2015. A strategic event design tool that synchronizes event design with event owners´ and audiences’ needs, boosting both co creation, innovation, creativity and meaningfulness. 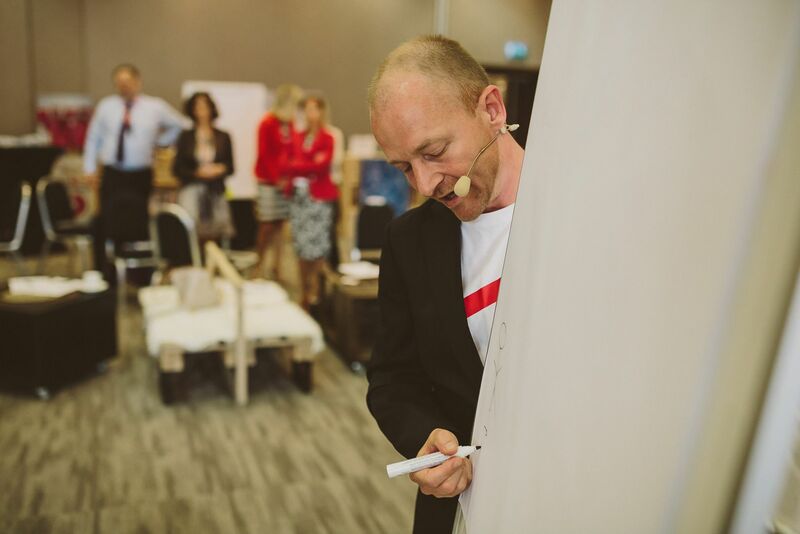 As event designer, Martijn co-created concepts for a wide array of events and clients; Amsterdam RAI, ASN Bank, The Red Line Project, Rijkswaterstaat, Invoyage, ICCA World Congress. Martijn won several event awards; Golden Giraffe Award Best Congress and FRESH Conference Award for Best Session Design. Q: Why we need to rethink the way we organise our events? I see 3 big challenges for our industry. 1. Time scarcity. It will be harder to convince people to physically go to your event. We’re competing for time, you’ll need to answer the question “Why should I go”. 2. Technology. AI, Blockchain and 5G, in combination with AR, chatbots and IoT enable experiences we can’t even begin to grasp. People will expect a more personalised event journey and we need to know what’s on the market. 3. Design for Impact: What impact are you going to realise for the people and planet. We can’t neglect the challenges our world is dealing with. As an industry, we have to take our responsibility and tie it into the strategic event design. There are exciting times ahead of us, it’s getting more complex. Our industry has an obligation and opportunity to stay relevant and meaningful. I think what is wrong is the way we design events. To design experiences for impact, it’s almost impossible to predict the outcome from the beginning. Our role is changing, we need to update our competencies with strategic thinking, we’re facilitative consultants. In 2012 I was surprised I couldn’t find an event design tool and, thus, created our own. In 2015, we shared the Event Storyboard Canvas with the Industry. The good news is there are many tools to help us with that and there will be more on the market. I teamed up with an innovation guru from outside our industry. We’re prototyping a new design tool and I’m blown away by the test results and can’t wait to share it! Q: What is the definition of good meeting design? In essence, you’ve created a blueprint of the customer experience in one overview. From here you craft a story that you can pitch. It’s flexible, you can change it. Shows which jobs need to be done. I believe these steps are essential for good event design. You need strategic skills. This is a must! Stay curious, find people with a background working in another industry. Stay open to new ideas. A Livelong learner who tries out different event design methods. Production experience so you know everyone has an important role to play. Continues reflection, possibly have a mentor. For me, this person is Fritha Knudsen, who introduced me to the event industry. Fritha shares her experience working for Virgin Galactic, Dreamforce plaza, Apple and Google. Lastly and maybe most importantly, leave your ego at home, event designers facilitate a process. Q: Give us an example of one of your favourite, well-designed meeting? A project close to my heart named “Most surprising award winning case ever” by Sjoerd Weikamp, director of the Gouden Giraffe Award competition. A game changer in the truest sense of the word. We challenged the board of directors on their briefing in the pitch phase. By doing this, we changed the goal and purpose of the event and as such realized much more ROI/impact. From 60% saving on the initial budget, 1500% brand name increase to the creation of a new innovation ecosystem. All these things wouldn’t have been possible if we didn’t question their objective and applied design thinking throughout the whole event design process. The project is called ZAAM The BattleZ and I highly recommend watching the video on YouTube or contact me as it demonstrates what I mentioned before. Personally my children and seeing the sunrise in the morning from my home. Professionally, the moment the event owner takes ownership.